​PASADENA - Tennessee-based Dunavant, a logistics and supply chain company, has expanded its distribution presence near the Port of Houston. 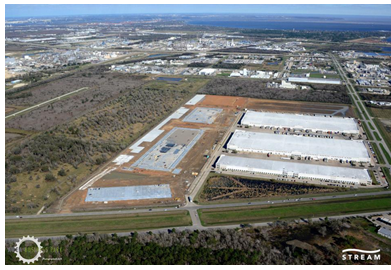 The company recently leased a second chemical warehousing facility in the Bay Area Business Park. The new warehouse includes 212,000 sf of H3-H4 rated chemical storage, a 50,000-sf flammable liquid storage area with AFFF foam, primary and secondary containment, and fence security with a drop lot. That brings Dunavant’s Houston footprint to 789,000 total sf. Late last year, Dunavant preleased space in Phase II of the Bay Area Business Park, which was set to deliver this month. That deal boosted the company’s Houston footprint to 577,000 sf, the company said. The warehouse, at 9431 Bay Area Blvd., opened on September 1, according to a Dunavant spokeswoman.